While researching jungle ruins you've come across mention of a glo­ri­ous empire, the capitol of which was a massive city of gold. And the only clues to this wondrous place is inscribed into idols shaped as skulls of solid gold, left littered around the ancient temples constructed by this empire. Making camp, you set off to discover and bring back these golden idols hoping that each one will bring you closer to finding the fabled city and wealth unimaginable. 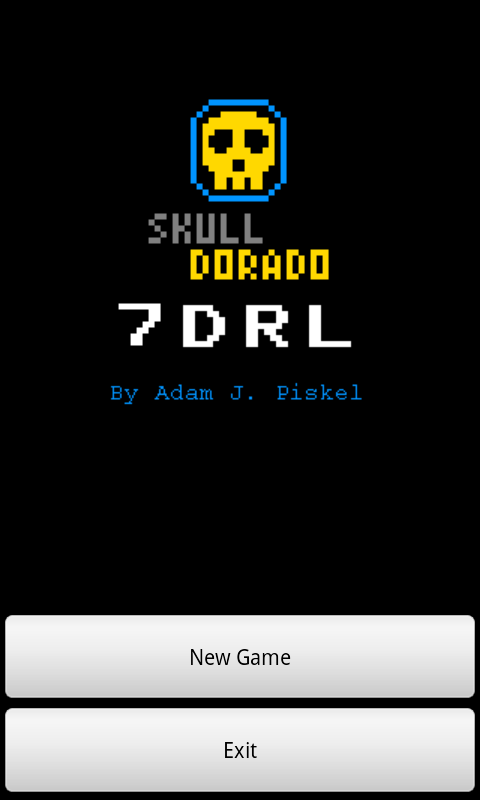 SkullDorado is a Roguelike made in seven days for the 2013 7DRL Challenge. Controls are simple, just swipe a direction to move. Tap to wait or to use an item you've picked up. You can carry three items, plus the idol if you've found it. 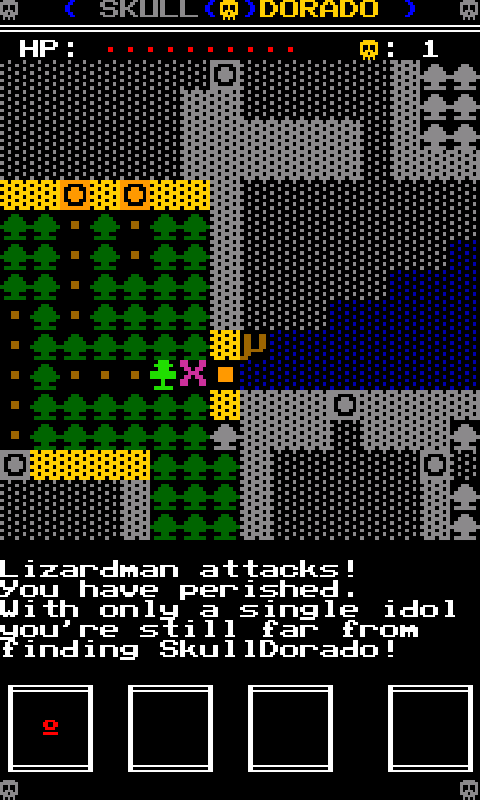 Return to the camp with an idol to move on to the next set of ruins. Doors can be closed by tapping/?waiting while standing next to them. 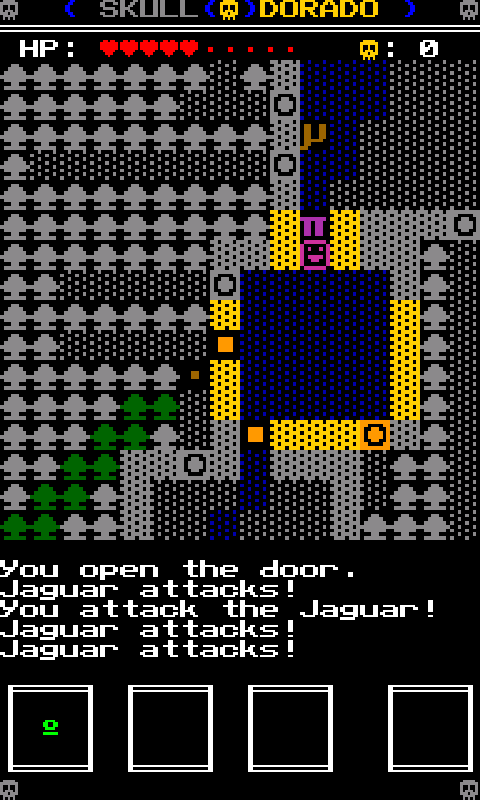 Helpful if you've just opened into a room pop­u­lated by fast and dangerous jaguars. This page was last modified on 20 March 2013, at 13:48. This page has been accessed 4,966 times.